Ecommerce rocks in terms of revenue and potential for business growth. That’s proven by its global revenue going over $2.2 trillion in 2017 and expected to get close to $4.5 trillion by 2021 (Statista). Blogging also offers tremendous potential and marketers believe it to be the most effective of lead-generation methods (HubSpot). Combining the two is sure to give you a huge boost. Why Does Your Blog Need an eCommerce Store? 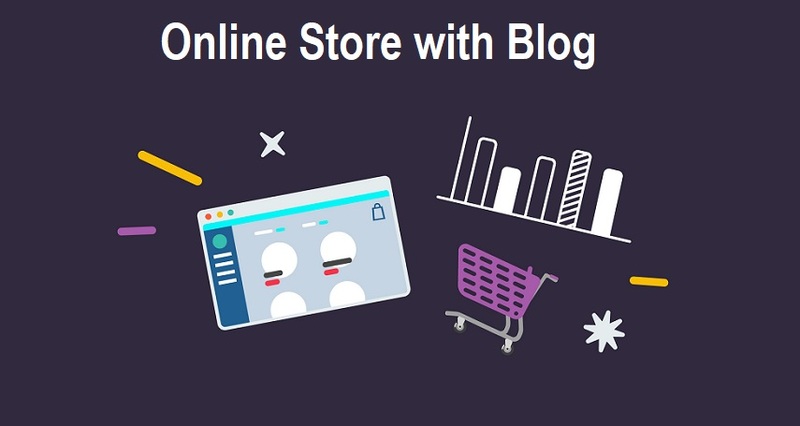 Whether you are a pro blogger or running a brick-and-mortar kind of business with a blog on the side, adding an online store to it will help you make more money, enhance your online presence, and attract more clients/visitors/followers. Google rankings work a little bit differently for eCommerce websites, which you can see from this analysis by Search Engine Land. What this means for you is that you can diversify your SEO techniques in order to increase the ranking of your website. The majority of your buyers are sure to be your loyal subscribers. However, depending on the type of products you offer, you might attract niche audiences. For example, if you have a yoga blog, you might offer healthy foods, healing stones, and jewelry, candles, yoga clothes, etc. Such an assortment will appeal to your current readers, but will also draw in buyers who will be interested in the content of the blog. To achieve maximum success with this, you’ll need to invest some effort in marketing your online shop. How to Add an Online Shop to Your Blog? The exact instructions will depend on the website builder you use. As the majority of blogs run on WordPress platform, you can use this guide to do the job. It’s one for WooCommerce because this platform is the most efficient for WordPress websites. Bear in mind that you’ll need to choose the right kind of hosting in order to ensure the best performance of your updated blog and store. So, look up providers that offer hosting adapted to the needs of WooCommerce. Which delivery service will work best for your targeted audience? Which payment methods are the most convenient? As you are adding a shop to your blog, you can get the readers involved by posting polls and surveys. Expand this to your social media accounts to draw more attention to the matter and advertise your upcoming store at the same time. This kind of approach will not only provide you with important insights into your readers. It will enhance their loyalty as people appreciate when businesses ask for and respect their opinion. You can boost their loyalty even further by offering special loyalty discounts for subscribers. In most cases, it’s online stores that add blogs for attracting more customers. However, your blogging business can gain just as much by doing it the other way round and providing your loyal readers with some goods they will love.